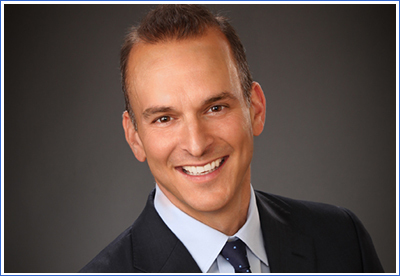 Travis Tygart is the CEO of the US Anti-Doping Agency (USADA). In 2012, his name became inextricably linked to Lance Armstrong’s when the seven-time Tour de France winner was stripped of his titles and given a lifetime ban from cycling due to doping charges. Mr Tygart is a guest speaker at the National Investigations Symposium in Sydney, 9–11 November, where he will talk about USADA’s efforts to preserve the integrity of competition and protect clean athletes. I’ve always loved sports and played basketball and baseball growing up. I think youth sports are hugely important and help instil some really valuable life lessons. In fact, before law school, I was a high school coach and have been fortunate to stay involved in one way or another. I also have three kids who play sports, which is great. Name a few professional milestones that have led to your current position as the head of USADA. Before joining USADA, I was first exposed to anti-doping while working with a law firm in Colorado Springs that provided outside legal counsel to USADA. In 2002, I was fortunate to join USADA’s legal department and worked on some pretty formative cases, e.g. BALCO (the international doping conspiracy involving the laboratory in San Francisco). I became the CEO of USADA in 2007 and, as an organisation, we have been working to protect clean athletes' rights ever since. USADA advocates for clean athletes and clean sports. But the agency has become known for its work in exposing high-profile sporting heroes. What are some misconceptions of USADA and why do you think they persist? All athletes are held to the same anti-doping rules regardless of their fame or anonymity. We don’t target high-profile athletes, but we do have to hold them accountable as heroes and role models in the sports community. Even though I think people often think of us as prosecutors, USADA’s main focus is education and deterrence. In 2012, USADA released its report on its inquiry into Lance Armstrong, accusing him of running “the most sophisticated, professionalised and successful doping program that sport has ever seen”. Can you briefly outline how USADA facilitates a whistleblower’s allegation and how it decides who and when to investigate? USADA always investigates allegations of doping and we engage in a thorough vetting process to determine if the information is valid and actionable. In the sports community, tips and investigations about potential doping are extremely important because we’ve seen that athletes don’t dope alone, and investigations often expose that they are supported by doctors, trainers, coaches and other support personnel. Also, USADA maintains a Play Clean Tip line that allows people to report potential doping while still maintaining their anonymity. USADA is charged with managing an anti-doping program, including in-competition and out-of-competition testing. You have more than 50 doping control officers (DCOs). Can you briefly discuss the internal systems in place to prevent corruption and maintain the integrity of your program and testing results? Our DCOs are exemplary, and receive extensive training. For additional quality control, the DCOs are overseen by regional team leads who continually review and assist in their work with athletes. The laboratories that process collected samples are all accredited by the World Anti-Doping Agency (WADA) and are independent of USADA. After the labs analyse the collected samples, they report the results to both WADA and USADA. The last two decades have been rife with doping scandals. It has us, as members of the public, wondering which performances are real and which are doped. If zero tolerance is idealistic, then where should the line be drawn on performance-enhancing drugs? The athletics community has established anti-doping rules through a robust process that includes input from athletes and leading science experts. WADA maintains a list of Prohibited Substances and Methods that outlines what is prohibited at all times and what is prohibited only in-competition. All athletes around the world are held to these standards and there is zero tolerance for people who intentionally break the rules. However, we understand that mitigating circumstances do exist and we have a Therapeutic Use Exemption process in place to accommodate athletes who have a legitimate medical reason for using a prohibited substance or method. You have a national jurisdiction. How do you protect the rights of US athletes on the international arena, when they are competing with athletes from countries that do not have comparable anti-doping programs? While WADA is responsible for ensuring that countries implement anti-doping rules, USADA regularly advocates for the rights of US athletes on the international playing field. A good example is our Ultimate Fighting Championship (UFC) program, which is global. We also educate and test Olympic and Paralympic athletes living, training and competing in the US. One reason I think we’re successful internationally is that we have very good partnerships with national anti-doping agencies around the world – including the Australian Sports Anti-doping Authority – to coordinate testing and investigations where appropriate. In the US, major professional sport leagues are not signatories to the WADA. Does that mean there are elite athletes in your country that you cannot test? Most of the professional sport leagues in the US have their own testing programs and doping rules, including the National Basketball Association (NBA), National Hockey League (NHL), National Football League, Major League Basketball, Professional Golfers Association (PGA) and the National Collegiate Athletic Association. These athletes don’t fall under USADA’s jurisdiction until they are potential competitors in the Olympic Games, and USADA does test NBA, NHL and PGA athletes who compete in the Olympics. Currently, the UFC is the only professional sport league in the US that maintains an independent anti-doping program and USADA runs that program around the world. In November, you will be speaking at the National Investigations Symposium in Sydney. “Challenging investigations” is a theme of the symposium. What are the challenges for USADA when it comes to investigations where there are renowned personalities, vested interests and significant financial resources allocated to obfuscation? In any investigation, we focus on the evidence and don’t allow external pressures to affect our pursuit of what is right. At the end of the day, our mission is to protect clean athletes. That’s our only focus. That’s why independence is so important in anti-doping. We don’t have to sell tickets or appease sponsors, and because of that, we can focus exclusively on creating a level playing field for clean athletes. Registrations are now open for the 11th National Investigations Symposium, 9–11 November 2016, to be held at the Four Seasons Hotel, Sydney. Early bird bookings close 1 August 2016.